Last year my nephew wanted a Hot Wheels cake. It was one I really liked making because I built a cake slide for the cars to slide down on. It was pretty cool and I didn't think I could make a cooler Hot Wheels cake. You can check it out here. Then this year my nephew told me he wanted a Hot Wheels cake again! Really? How could I top last years? Then my brother-in-law had an idea to somehow incorporate my nephew's Hot Wheels tracks since he has a ton. So I decided to take on the challenge and make cake tunnels for the tracks to go through. A little ambitious? Probably but it actually worked! Looks more extravagant than it actually is! You guys can probably do it too! I honestly had no idea how to make a tunnel but found this image with instructions and it helped me a ton! 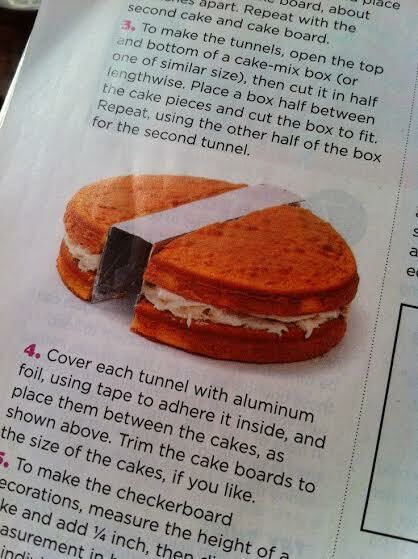 Its basically just two round cakes cut in half and box to make the tunnel shape. Sooooo very easy when you see the image below. Best part of this cake, the track actually worked and it was a big hit with all the kids! Hope you guys try it. It's really not as scary as it seems! Priscilla, I was wondering where you found these instructions and if there are more instructions included. Is it in a book form? Hope that helps! Or let me know if you have any other questions! Thanks! I am ambitious to make this cake for my sons birthday party. Slightly unsure about the finish on the tunnel ..how it will turn out to be . If you have any pics of the intermediate steps . Thal would be really helpful. I must say its an awesome looking cake. I don't have any pictures on steps! I wish I did! Sorry about that! 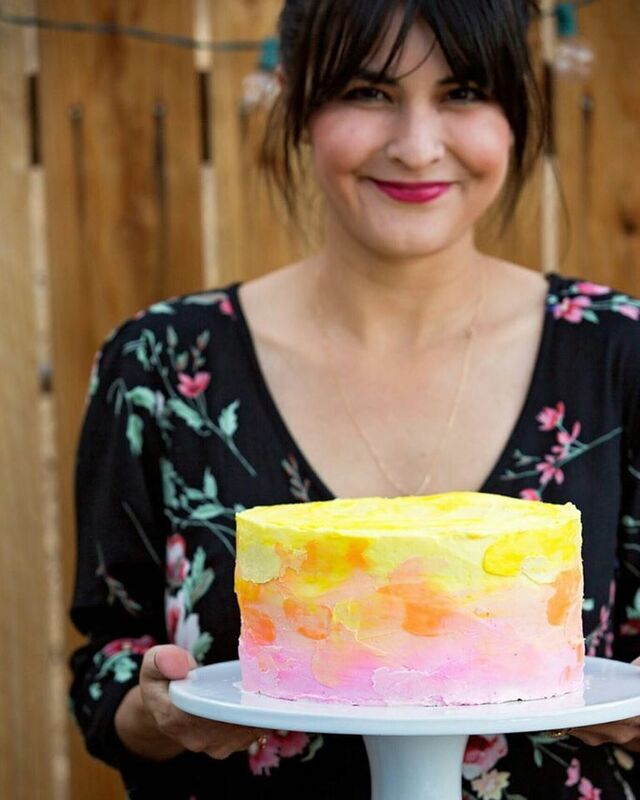 But I frosted the cake and let it sit the fridge for about 30 minutes and covered it with fondant. The cardboard tunnel was the thing that helped me make the cake. It's not as hard as it seems! I promise. I hope you do try it and let me know how it goes. Thanks!!! What hot wheels track set did you use? I honestly don't know. It was for my nephews birthday and my sister just brought a track over. I can ask though!